Some of the largest lakefront condos available on Delavan Lake are located in the Delavan Gardens Estates off of North Shore Drive. These units range from two bedrooms to four bedrooms, have attached garages and all come with a great deep water boat slip. One unit, bright, open and ready to move in, just came on the market. Located at 1616 Westbank Circle, the property enters on the main floor and includes a two-car attached garage. Light streams into the great room through French doors that lead to a private patio space with lake views. A corner fireplace adds ambiance in the winter months and the kitchen flows naturally into the spacious dining room area. 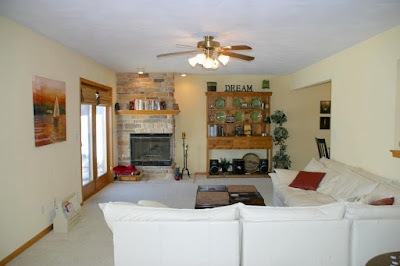 1616 Westbank Circle features gas fireplace and lakeside patio. The second level includes two large bedrooms, a loft area and a lakeside master suite. Both the master and guest bedroom sport walk-in closets and the master has a jetted soaking tub and a balcony facing the lake. Listed for $349,000 the unit is the only condominium on Delavan Lake that comes with a boat slip. 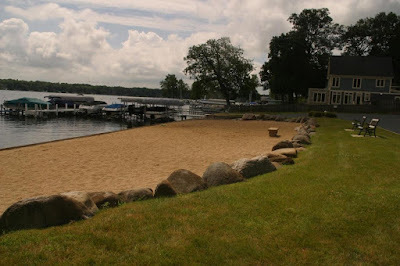 There is also a boat launch for the association and a sand play area for children to enjoy.